Many of the cheeses that are scariest to foreigners are those, like Olivet Cendré that are blackened and coated. The blackness of the crust is less due to mold, however, than to ash. That may -- or may not -- make you feel better about black cheeses. Part of the reason for the ash is actually to combat scary molds: traditionally, this helped preserve the cheese by keeping off excessive bad bacteria that was flying around the caves. It also helps absorb extra moisture, and therefore is often used for goat cheeses, especially, which tend to be more liquidy. The ash was originally a byproduct of burning crops to ready fields. Nowadays, there are special food-grade ashes created for the purpose, so they're a little more controlled if a little less authentic. While I can't specifically call out the taste of the ash, it lends a certain je-ne-sais-quoi. Which, I realize, tells you nothing. It adds not only a slight firmness to the outer edge of the cheese (but not hard, not dry, not chalky) but also a complexity to the flavor that is hard to place. But for something so dramatic looking, the taste is surprisingly, decidedly not significant. Olivet Cendré, which means "Ashed Olivet" is made from pasteurized cow milk in a little town called Olivet, on the Loire River, not far from Paris. 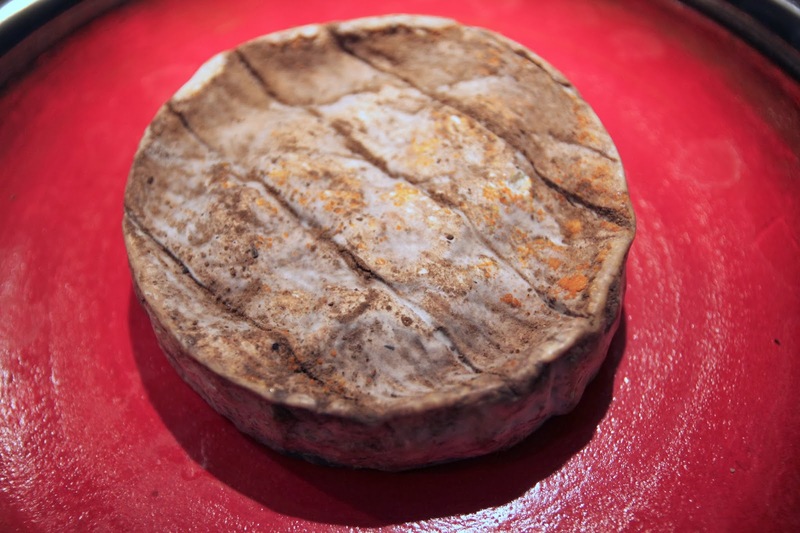 The cheese is aged at least a month in a coating of ashes and mold. Originally, the ashes used to be from burned grapevines, which makes good use of the local materials in wine country. It's something like a Camembert, with a bit more oomph in more respects. The crust is, well, crustier, thanks to the long aging and the ash. The texture is firmer, for the same reason (age can encourage more evaporation, plus the ash absorbs some of the moisture from the interior). And the taste is, therefore, stronger as well, with an earthy overtone that probably comes from the rich grasses and lands where the cows graze. An explanation of the use of ash in cheeses accompanied by an ash-covered cheese. What's the connection? Do you even need to ash?